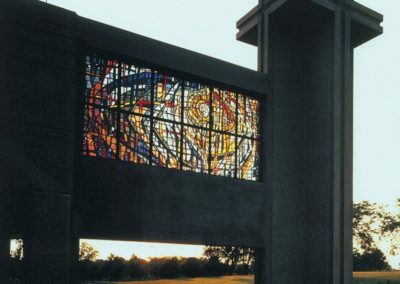 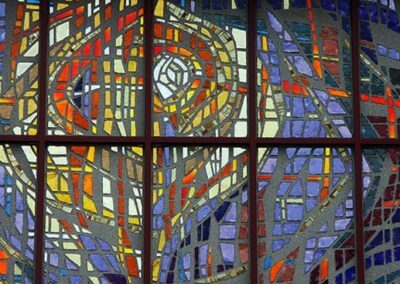 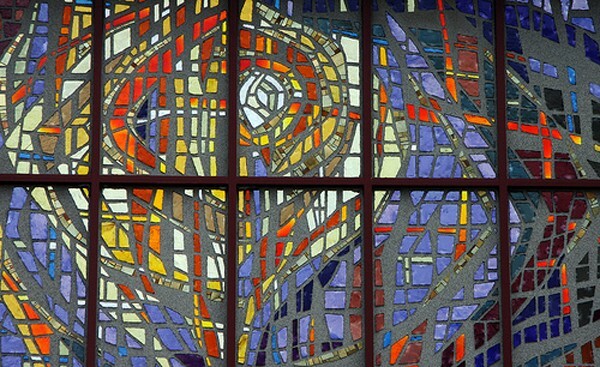 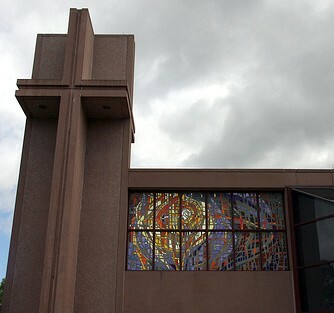 At Our Lady of the Angels chapel and office at St. Michael the Archangel Catholic Cemetery in Palatine, Illinois, a new faceted glass installation represented a unique opportunity in design. 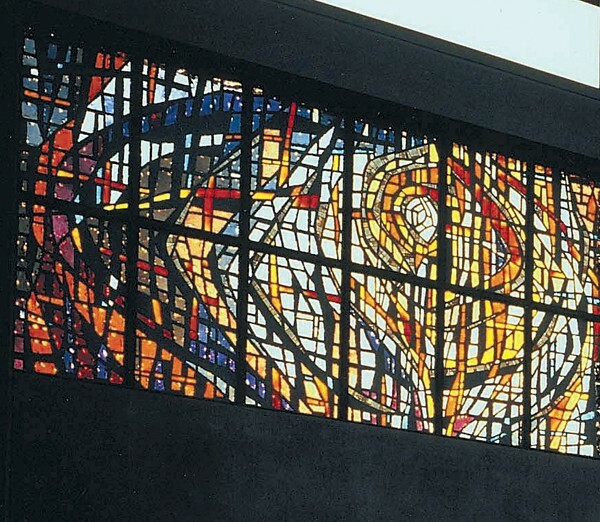 Conrad Schmitt Studios created a large 12-panel faceted glass exterior piece that is placed in an extension from the building, allowing it to be viewable from both sides. 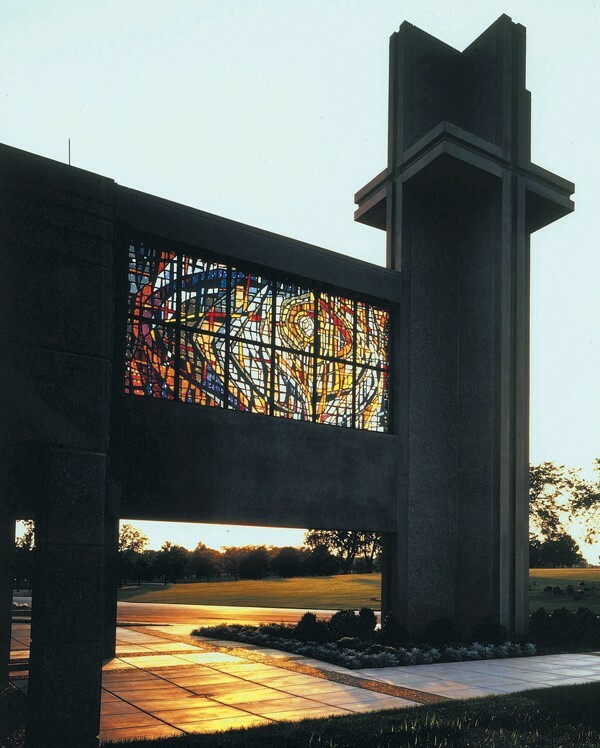 As the daylight changes, the quality of the light-filled color glows through the thick slabs of colored glass and gold mosaic enhances the surrounding epoxy.